Welcome to W.G. Rhodee Excavating, Inc.
We are a family-run business and have been operating since 1965. 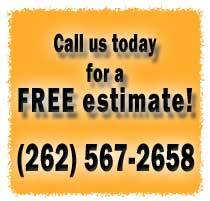 We specialize in commercial snow removal, excavation, demolition, landscaping, land clearing of lots, etc. We are a fully insured and service the greater Milwaukee area. © 2010 W.G. Rhodee Excavating, Inc. All rights reserved.